The Williamsons team will ensure your sale progresses as smoothly as possible. At Williamsons we recognise the importance of standards of service and customer care. Our experience and contacts enable us to advise clients on all aspects of buying, selling, letting and renting. So that you can put a name to a face, here is an overview of the key staff at Williamsons. Mark is an RICS registered valuer (FRICS) and has worked in the property market in Easingwold, York and the surrounding villages and market towns since 1982, dealing in the sale, letting, acquisition and purchase and surveying of all types of residential, commercial and development property in and around North Yorkshire. 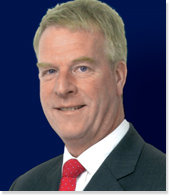 Over the last 30 years Mark has sold hundreds of properties around Easingwold and York. In 2008 he set up Williamsons with the specific aim of providing and estate agency service with a fresh approach, with modern marketing techniques. 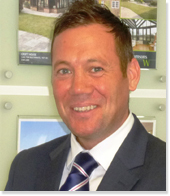 Spencer joined in June 2013 and brings with him a wealth of local knowledge and experience dealing with the sales and letting of a wide range of properties around York and the suburbs. Spencer offers a dedicated and proactive personal service specialising in providing quality advice on all aspects of buying, selling and letting residential property in Boroughbridge and in York's northern villages and suburbs of Haxby, Wigginton, Strensall, Skelton and Huntington. 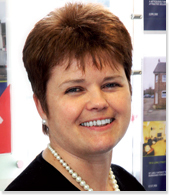 Lynne joined in November 2008 as a Client and Sales Co-ordinator, having previously worked in estate agency for the last 20 years. Lynne enjoys her role and is responsible for sales, negotiations, lettings, dealing with the day to day selling process and takes pride in her attention to detail as well as giving a high level of customer service. 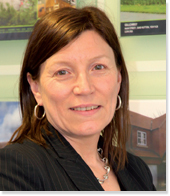 Lesley joined Williamsons in October 2008 as an Administrator and has worked in estate agency for over 18 years. Lesley brings with her a wealth of experience having worked primarily in administration/secretarial roles.